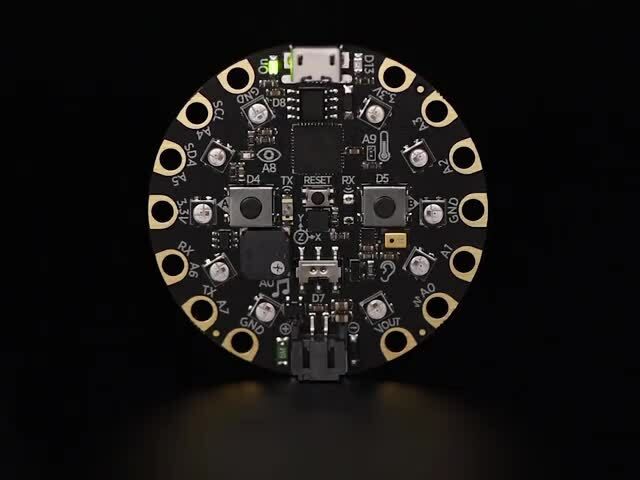 Kitty Yeung’s Made of Mars #WearableWednesday #CircuitPlaygroundExpress « Adafruit Industries – Makers, hackers, artists, designers and engineers! This project began as a design challenge when my friend, J.R. Skok (a planetary geologist at the SETI Institute), provided me a bunch of basaltic fabrics to make something fashionable. These fabrics were made of volcanic lava, which were mined, melted, pulled into threads and woven into fabrics. Basalt is the most common rock on Mars but is also found throughout the Earth in places like Hawaii and Iceland and on the volcanoes of most continents. Designing with fabrics made from volcanoes on Earth is a fascinating connection to our planet and a critical step toward learning how to build on other worlds. J.R. has been working with these fabrics for their potential to be made wherever basalt is common, but other fabrics are rare. Maybe one day when humans visit Mars, we’ll be using items made of these rocks. While I was trying to master constructions using these fabrics, I couldn’t help but thinking when and why we would ever want to visit Mars. Apart from our scientific curiosity and exploration, could it be caused by in-habitability of the Earth environment? Thus, I embedded an optical dust sensor from DFRobot and used the temperature sensor on Adafruit Circuit Playground Express in the hope to make us be more aware of air pollution and global warming.